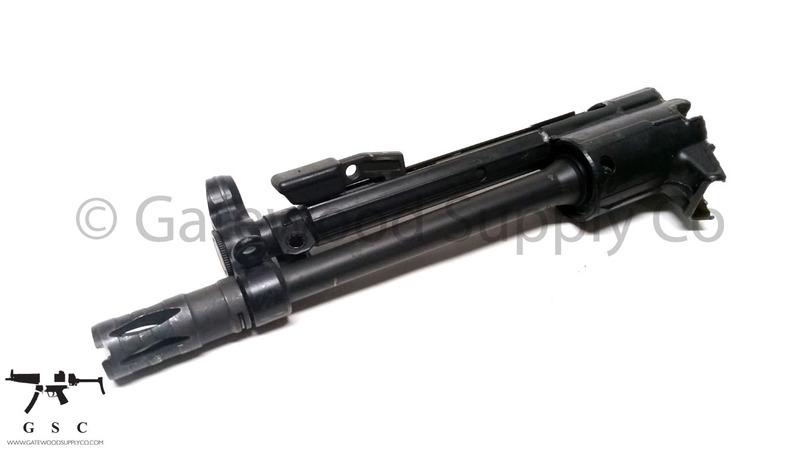 (1) Used Factory German HK 53 Front end with factory 1x15 threaded H&K barrel with 1x7 twist, marked 178 on the barrel. Front end from demilled police dept trade-in parts kit includes trunnion, front sight-blade, dust Cap, cocking support, cocking handle, cocking tube, sight tower, birdcage flash hider and of course a very good condition used barrel. 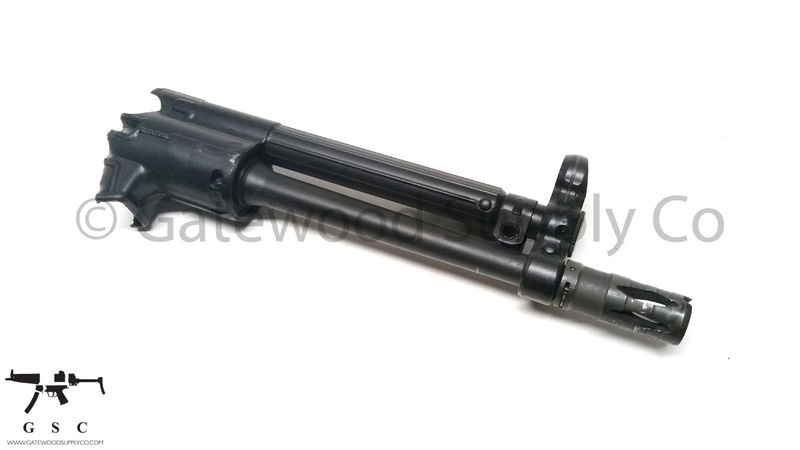 This is perfect for re barrelling a Heckler and Koch HK 93/HK53 or as the core of a build. 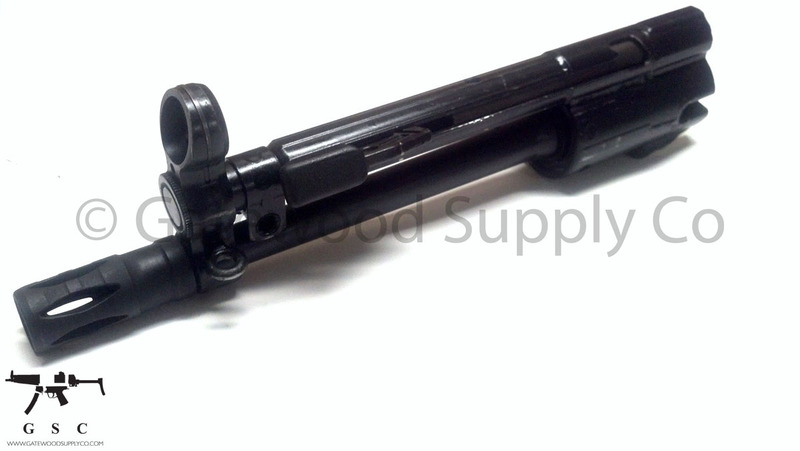 Barrel has Heckler and Koch German proof marks and is renowned for its superior quality. 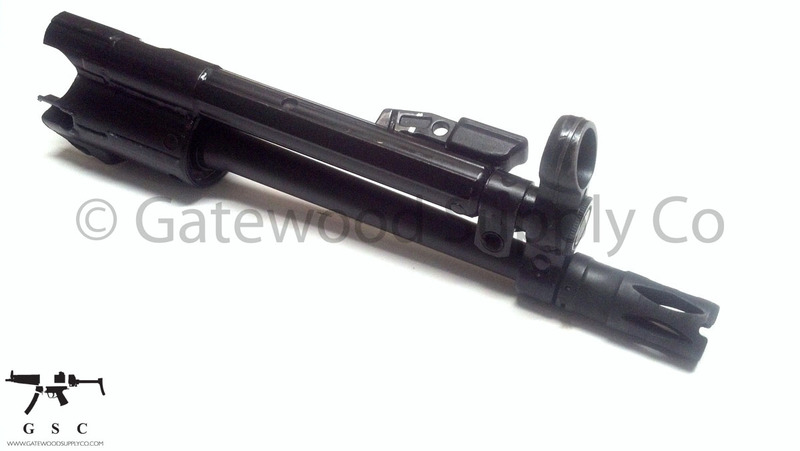 Because this barrel is threaded, you can choose from a variety of options on muzzle devices. 1x7 twist gives a larger range of projectile weighs that can stabilize including 62vgrain and heavier rounds. Stock Photo. 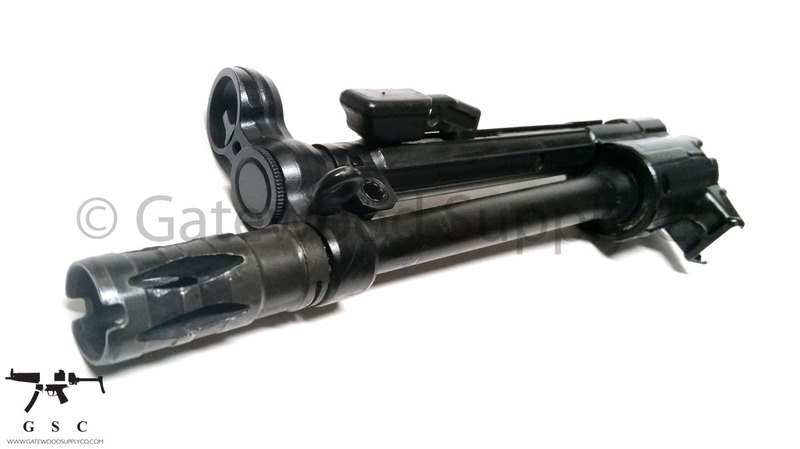 This barrel is under 16", so All NFA Rules Apply.